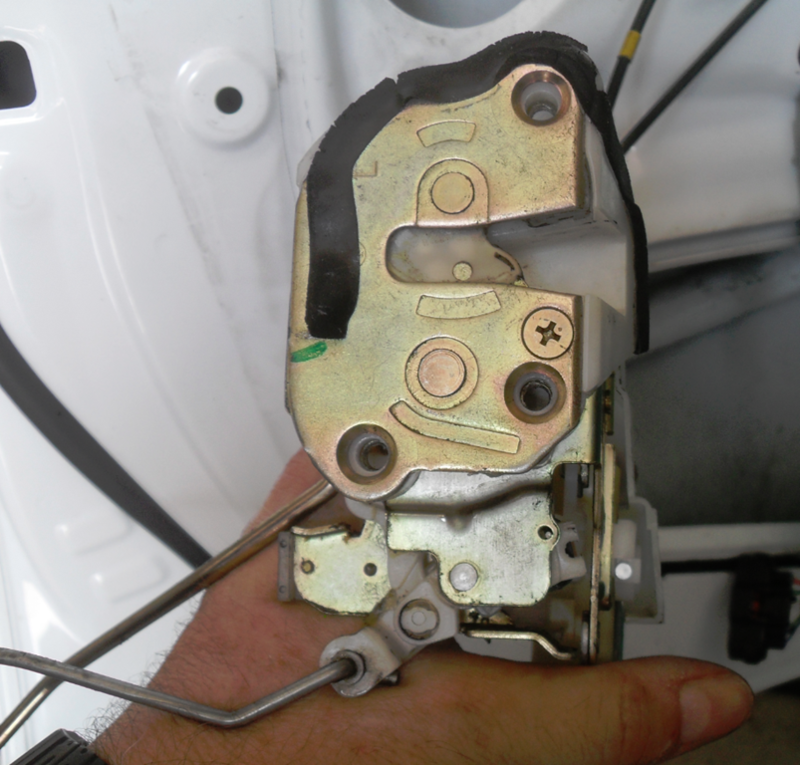 This is how I replaced the door lock actuator on my 2002 Prius. I took lots of pictures, so I hope this helps others. 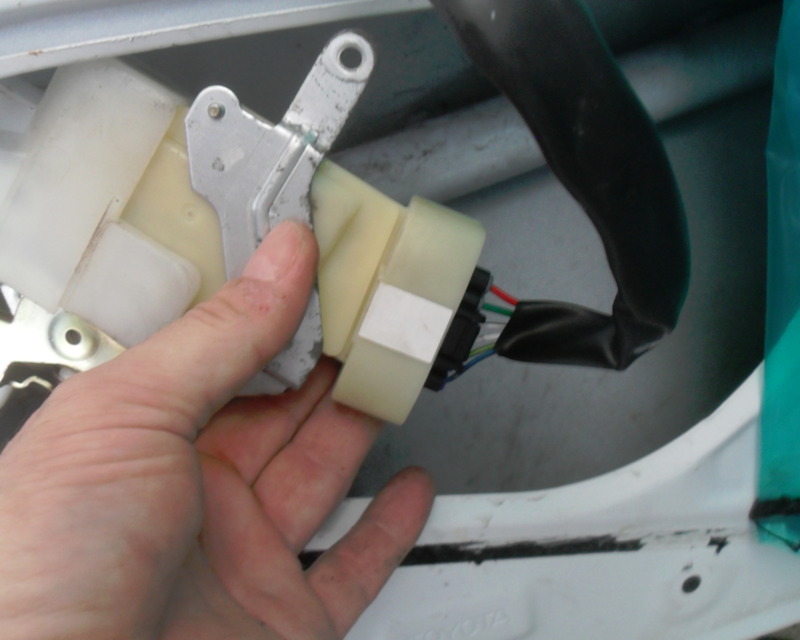 I purchased the door lock actuator from a Toyota dealer on line for about $85 + $12 shipping, so it was < $100. 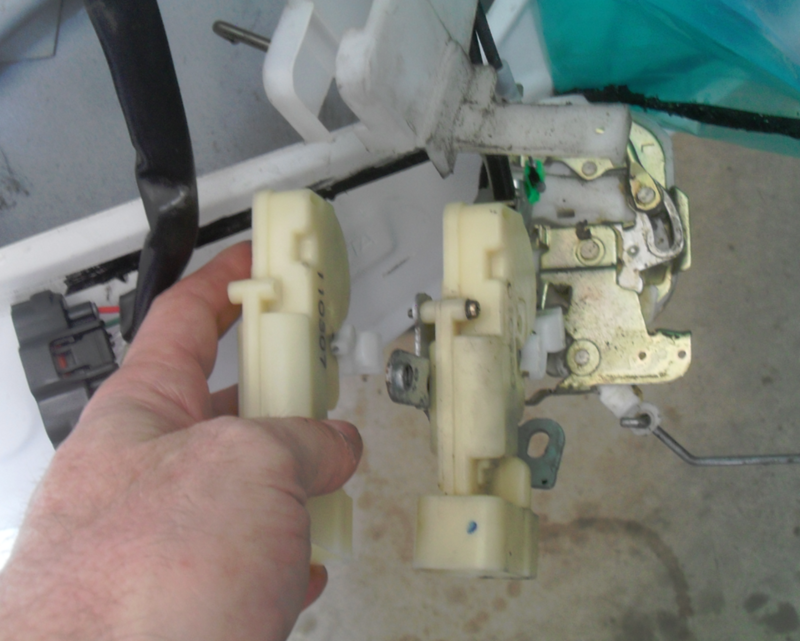 Some folks have actually split the old actuator apart and replace the electric motor inside. 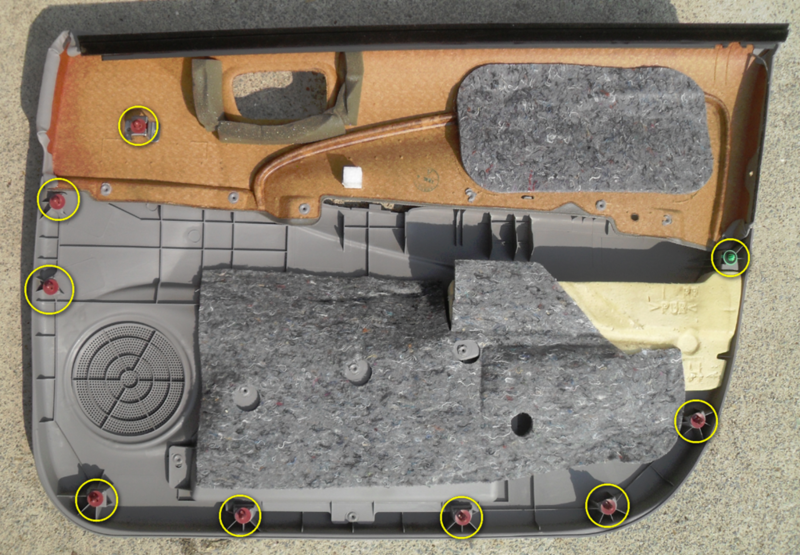 Start by removing the door panel. This is not hard, but it can be tricky. 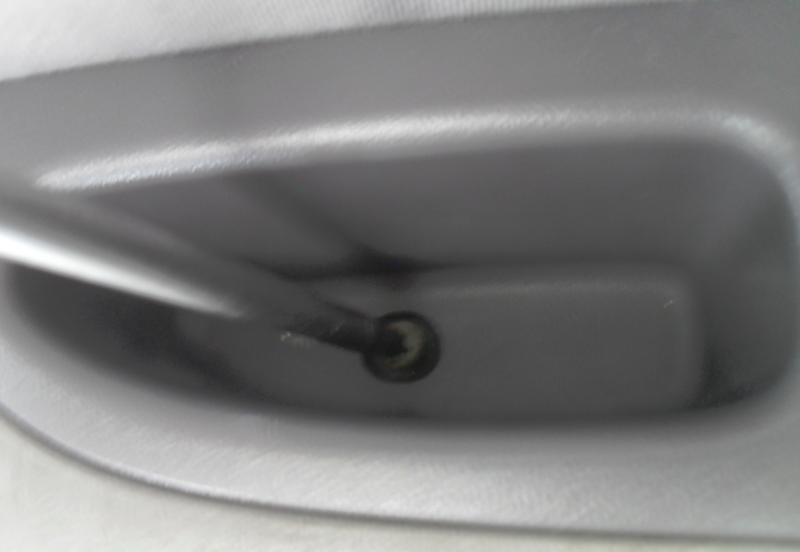 First, push in the center pin of the retainer on the outside edge of the door panel. 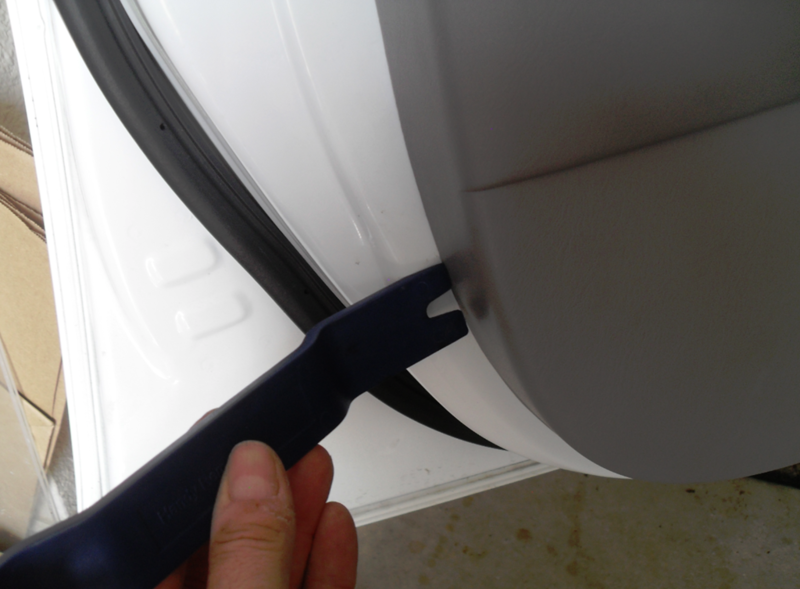 This will allow you to easily remove the fastener. 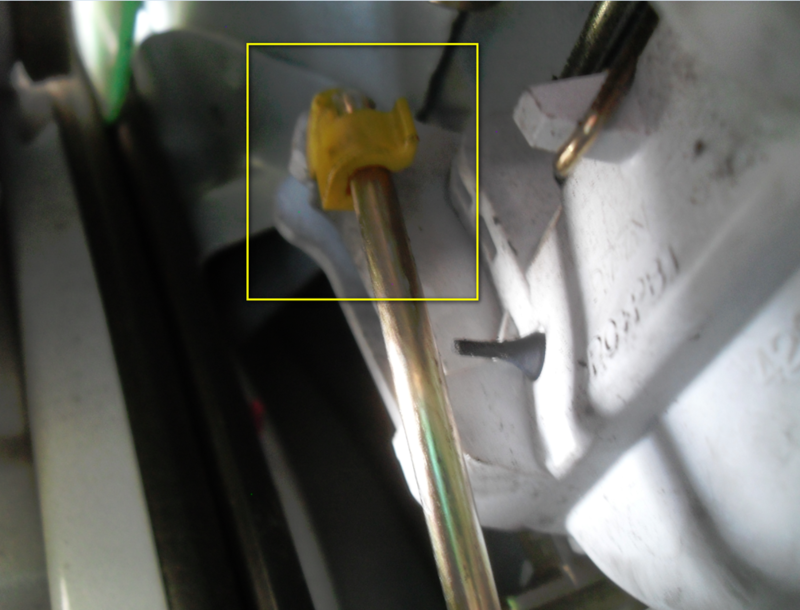 This is actually a picture of me installing the fastener, so you can see the pin is pulled out for installation. 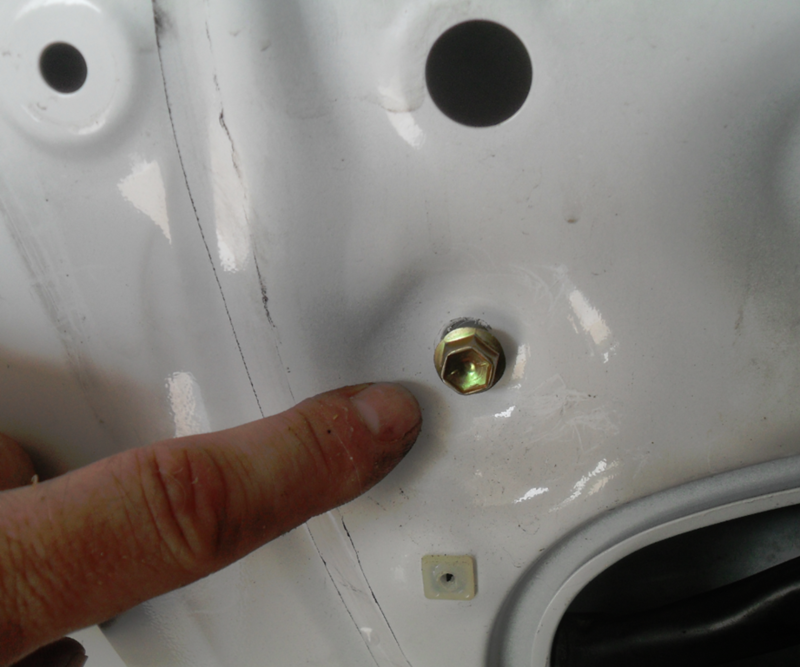 However, to remove it you simply push it in and it allows the fastener to be removed. Here’s a blurry picture of the final installation. 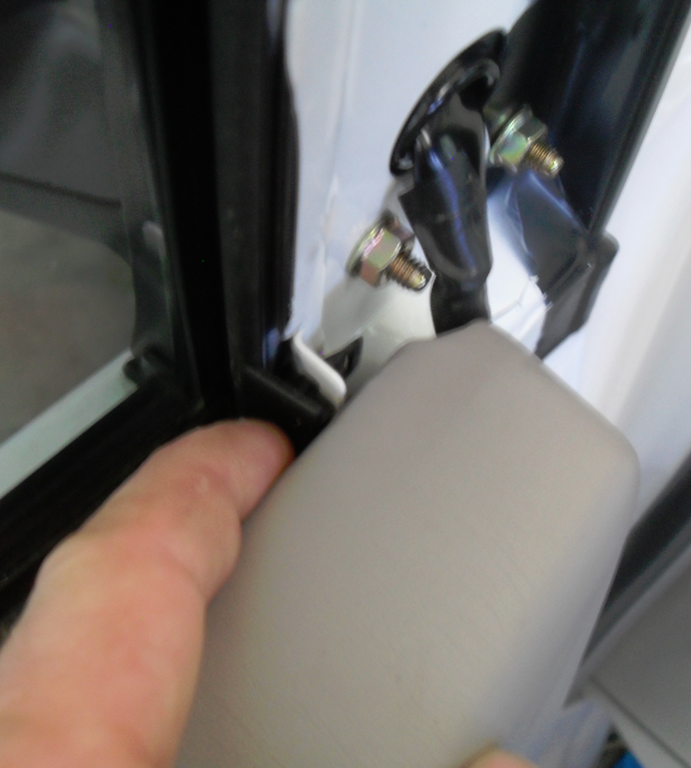 Remove the trim piece in the corner of the window by simply pulling it off. 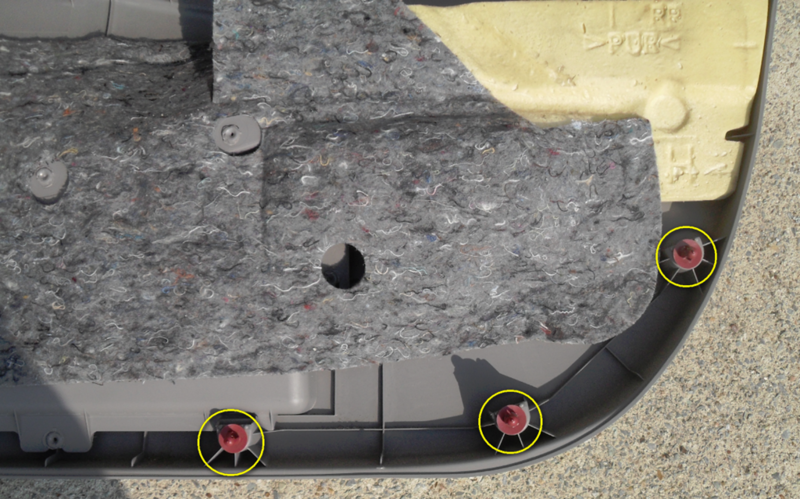 You can see the location of the fasteners in the photos. 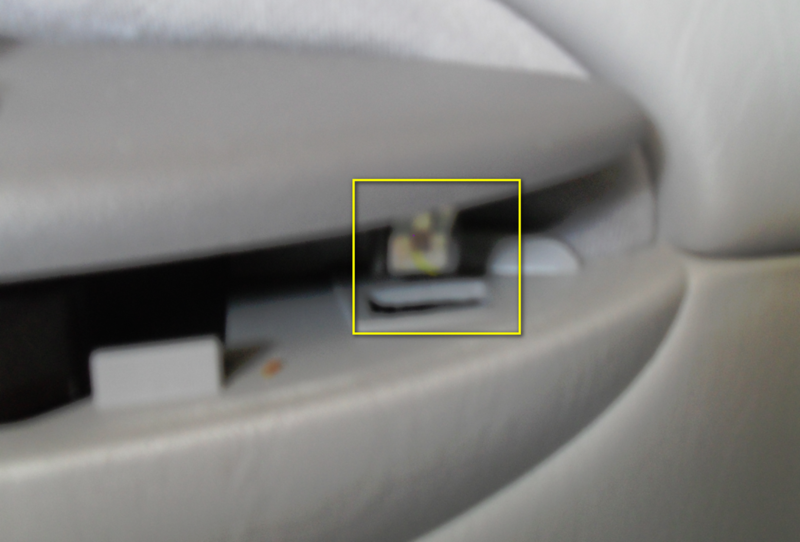 Notice there is a clip at the bottom (hard to see). There should be a little clip that can easily be removed from under the cover. 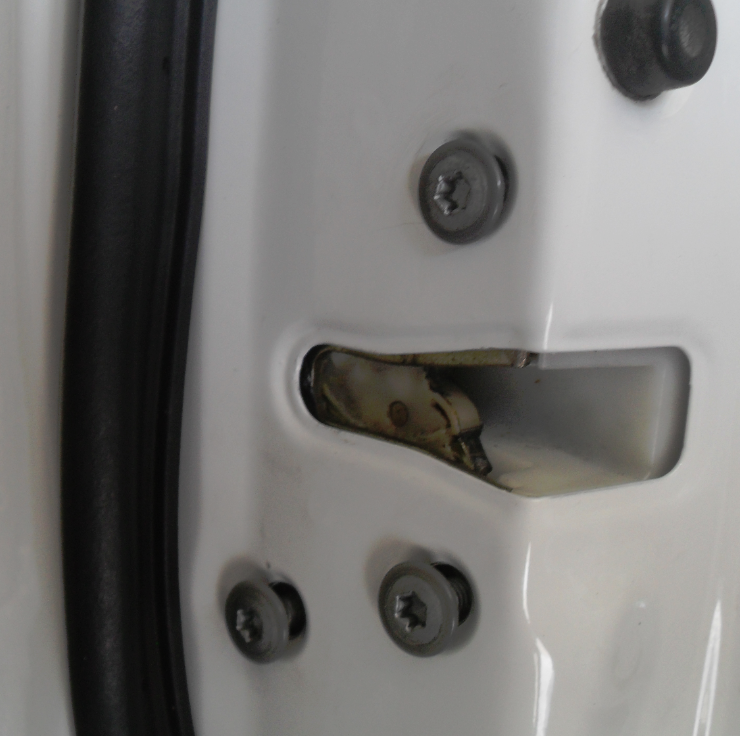 Open the screw cover in the door opening latch handle area. 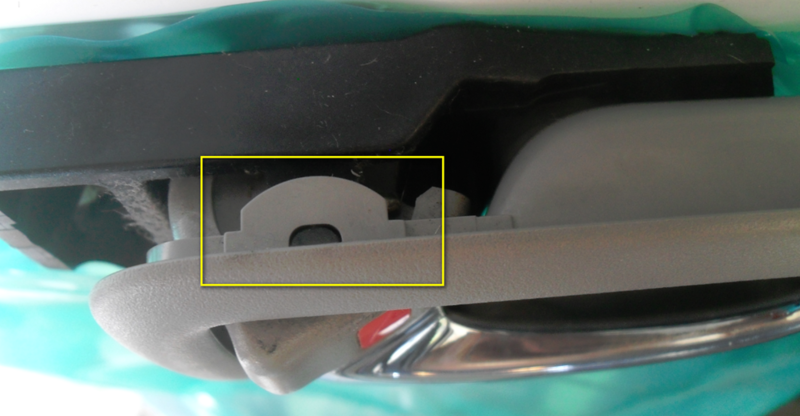 Notice that pull handle trim has a catch that slides into the plastic piece mounted to the door. 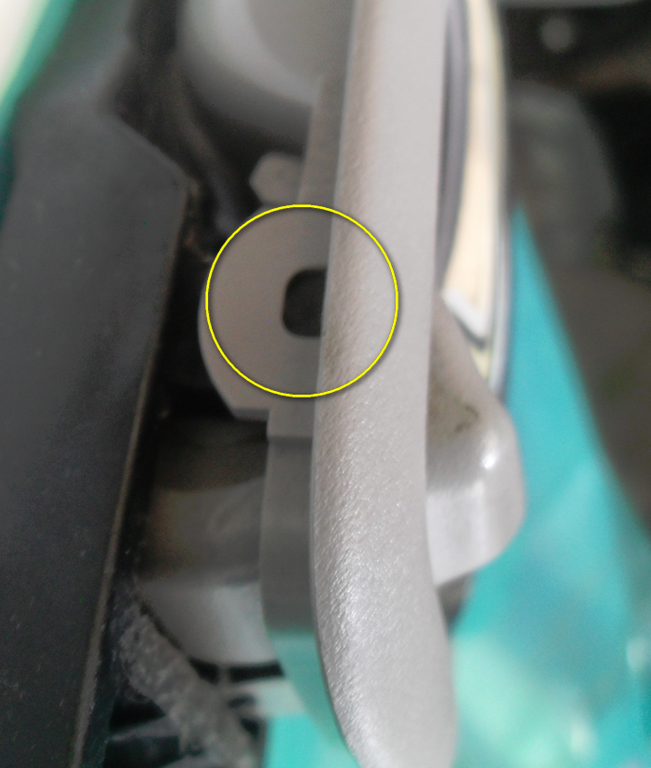 It also has “ears” that clip it in place. This can be somewhat difficult to remove. 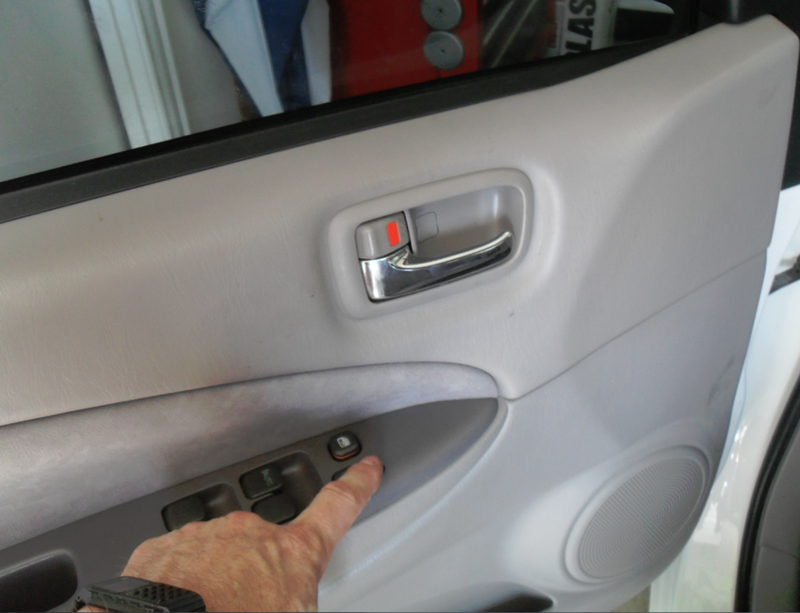 If you move the door panel and/or the trim towards the rear of the car, you should be able to slide it out of its latches and hook receptacle. 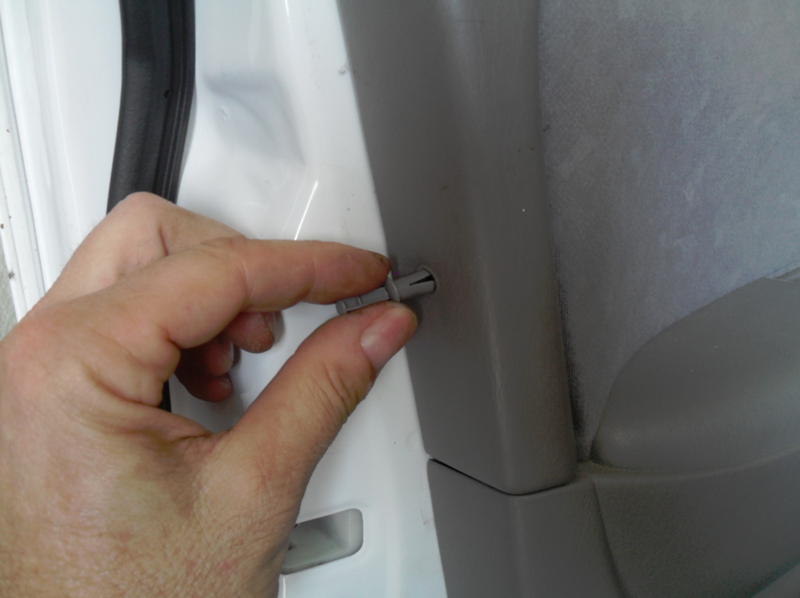 Remove the screw in the door grab handle recess. 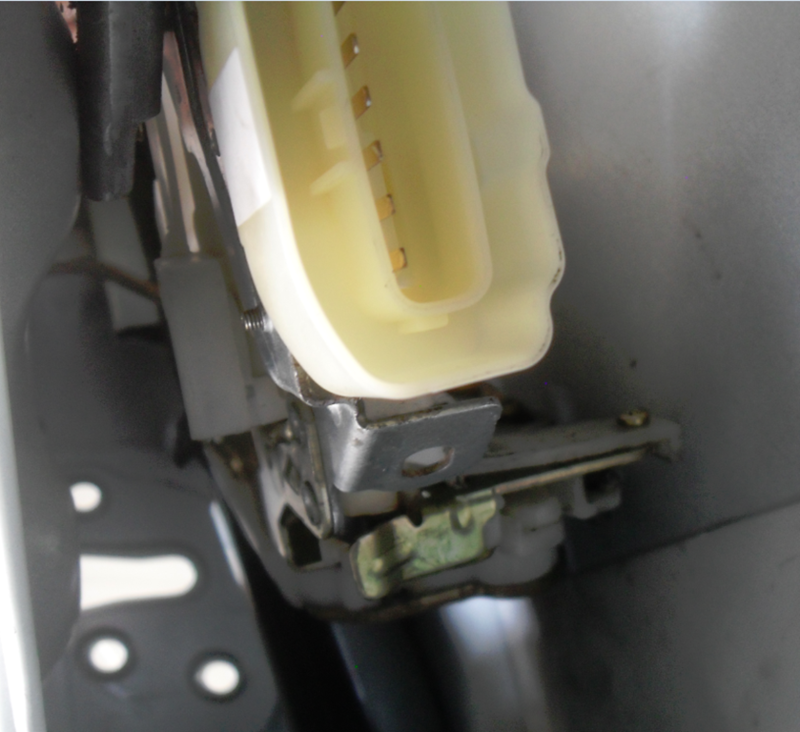 You should be able to remove the entire switch assembly. 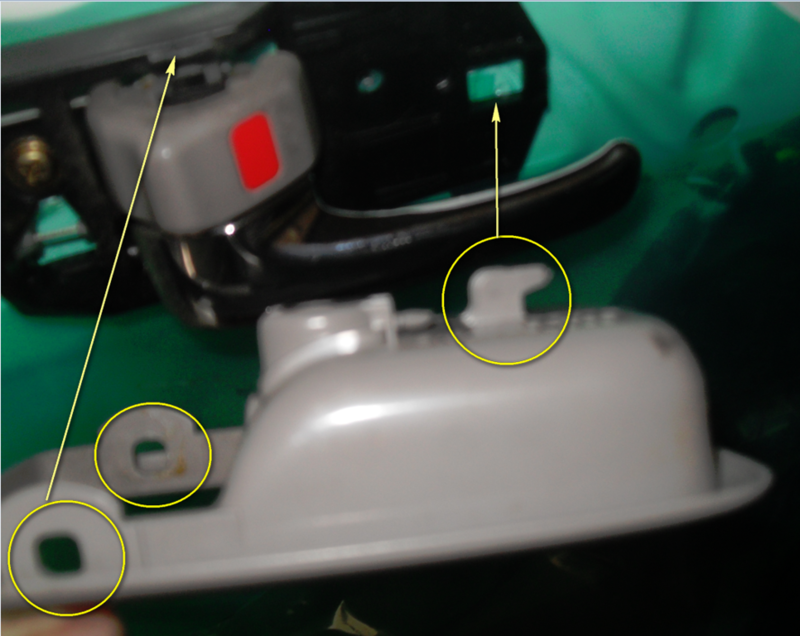 Note the fastener on the front of the switch assembly. This should pull straight up. 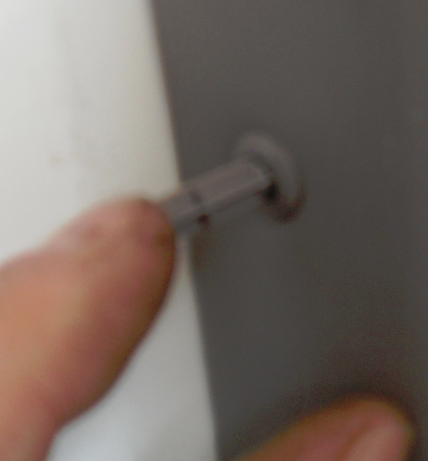 Now you can start unclipping the door panel. 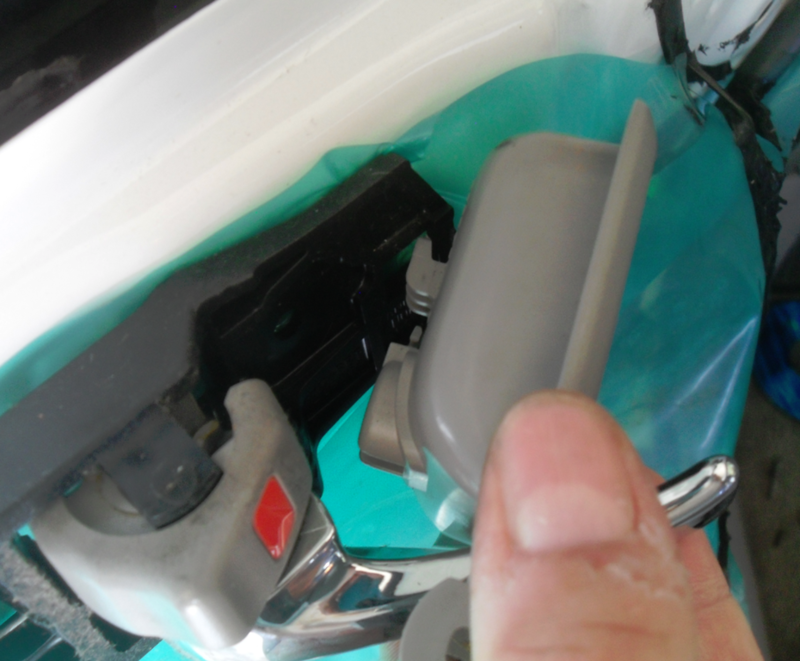 Note that I used my hands and some plastic pry tools…you don’t want to scratch things up. 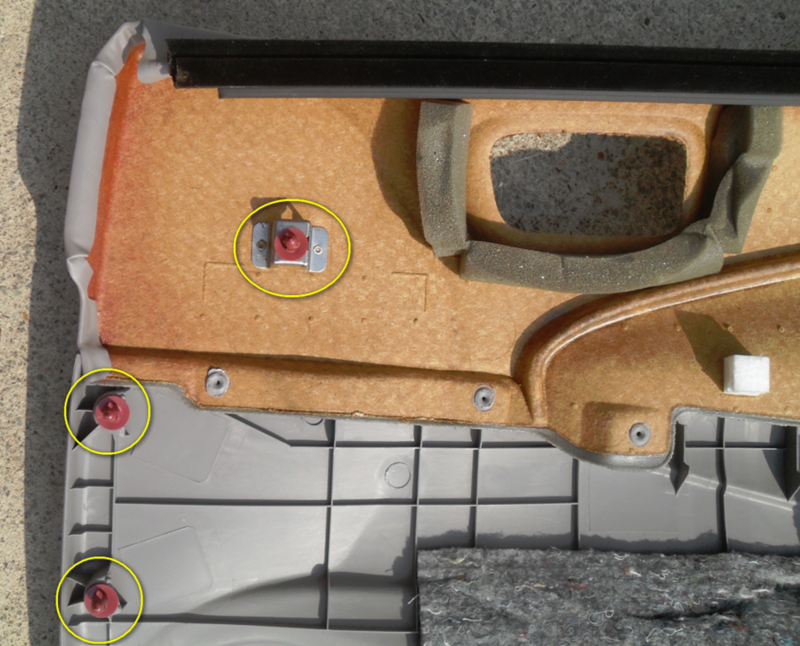 Note the location of the clips. 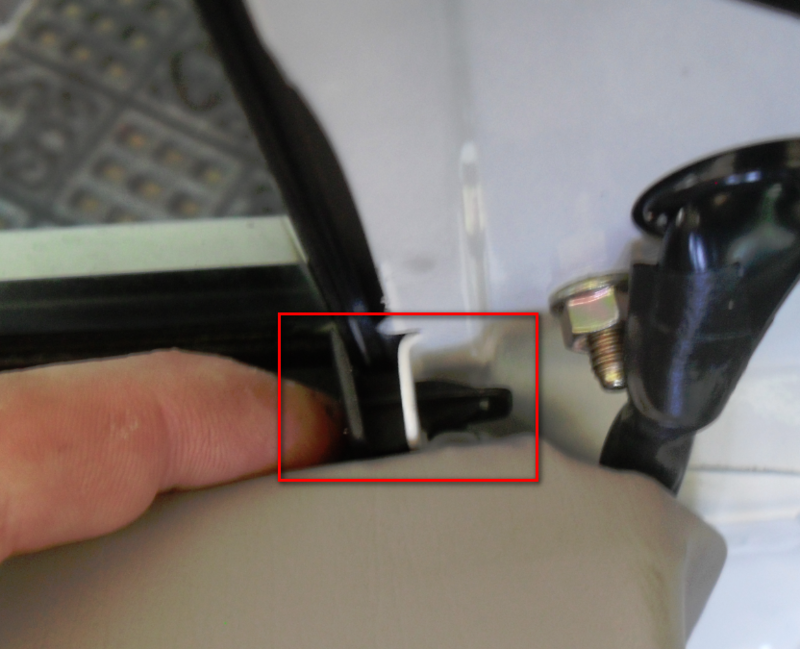 Hopefully you can lift the door panel up and off the door by this point. 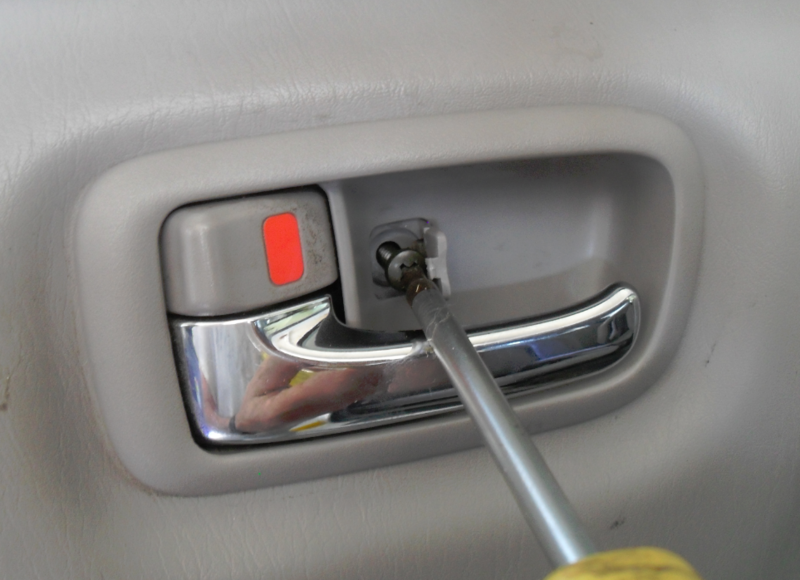 I had some difficulty with the door pull handle trim, but be patient and don’t break it! 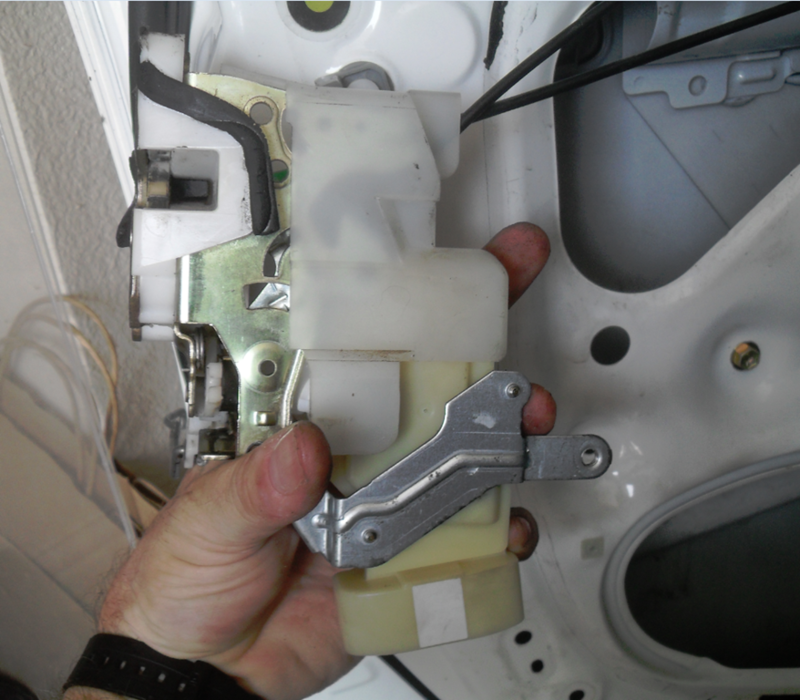 Now remove the metal bracket. 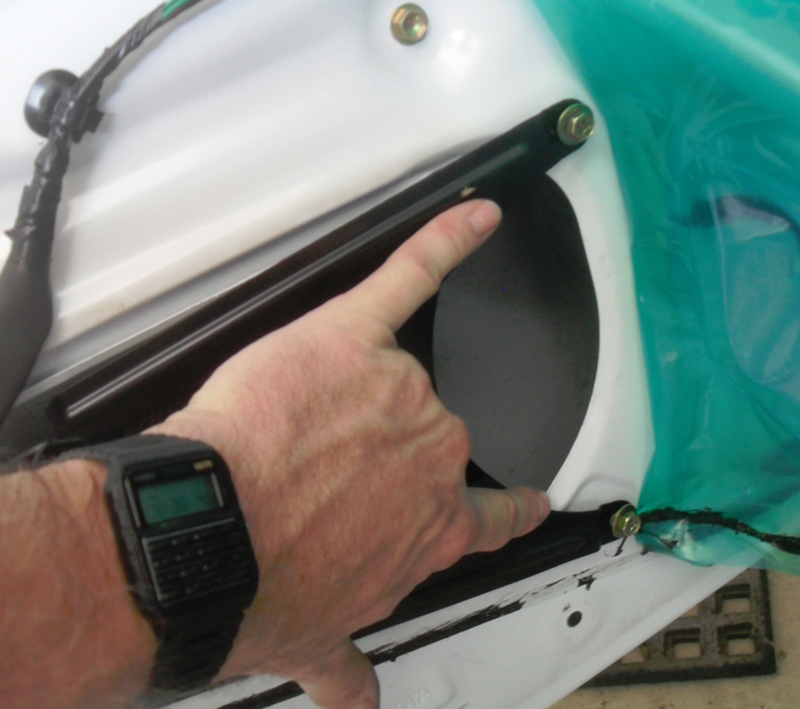 You should be able to peel the plastic away and expose the cover. 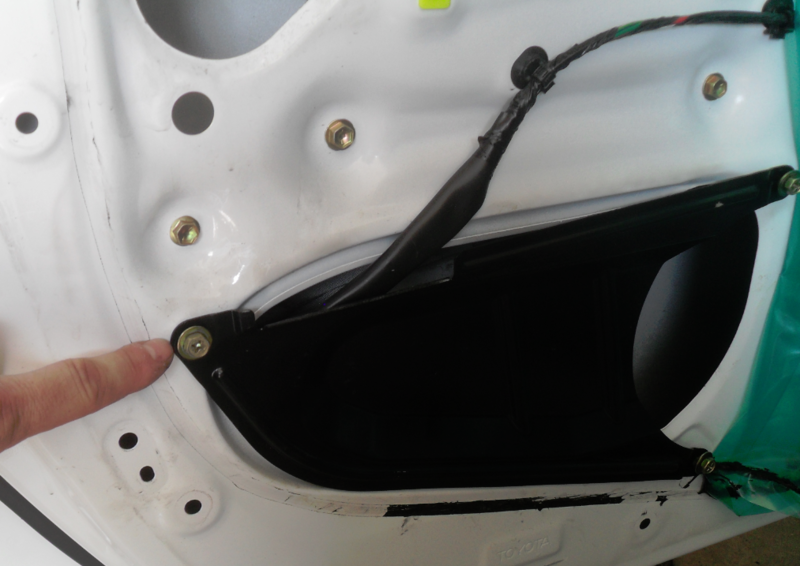 Remove three screws. 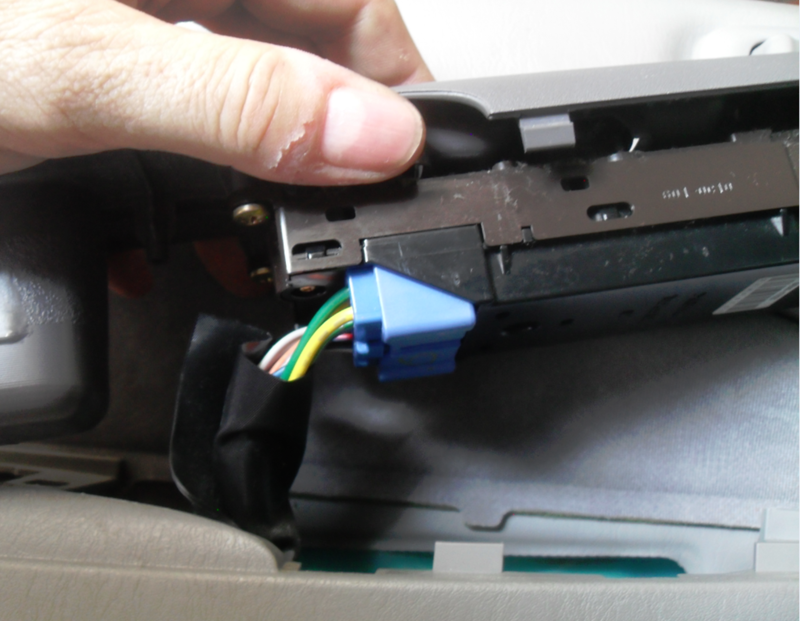 Remove the cables from the clip. 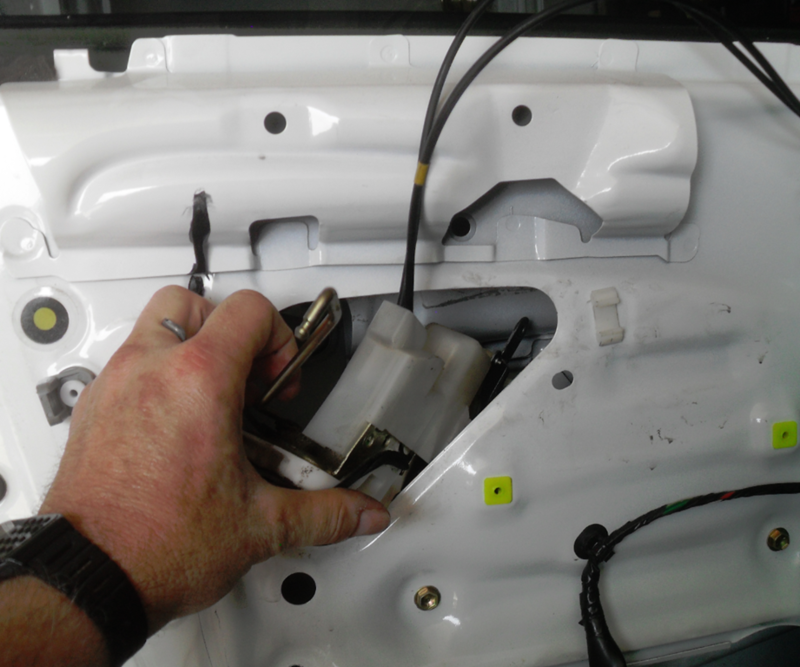 Now we’re going to remove the entire latch assembly from inside the door with the lock actuator attached. 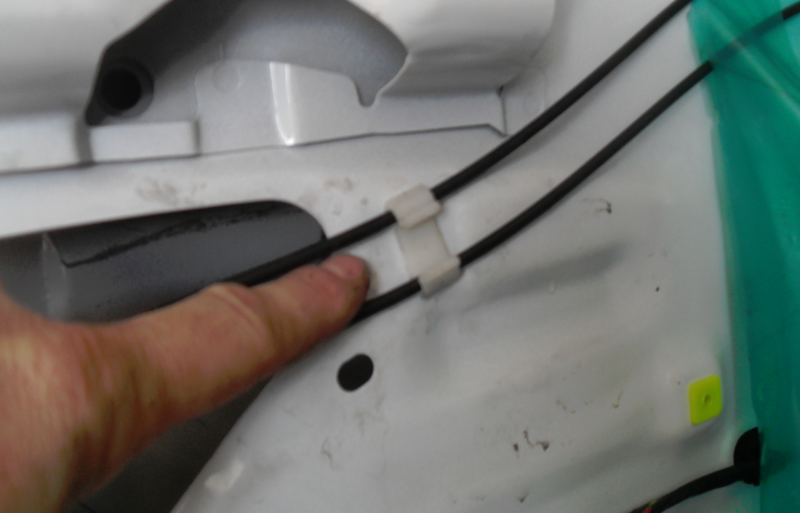 There are actuator two rods that have plastic clips. 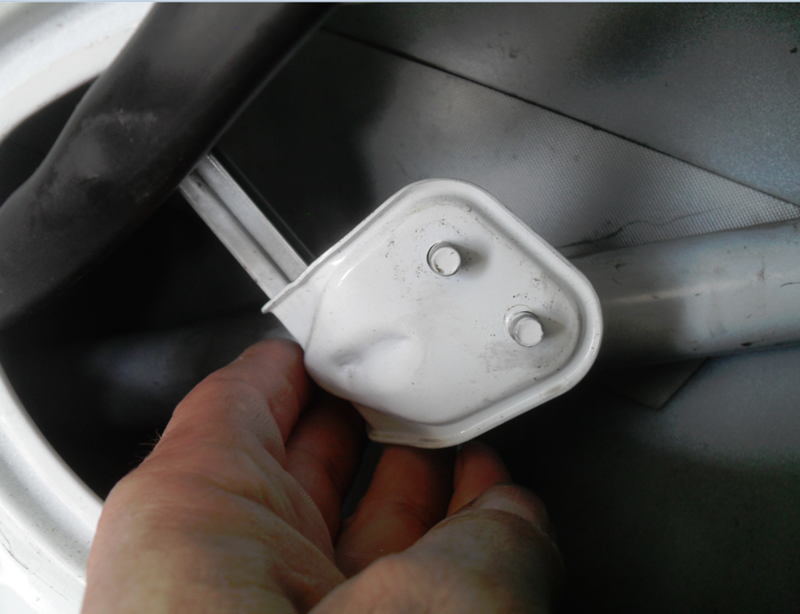 You simply push up on the plastic clip to unlock it from the rod and then you can remove the rod from its hole. 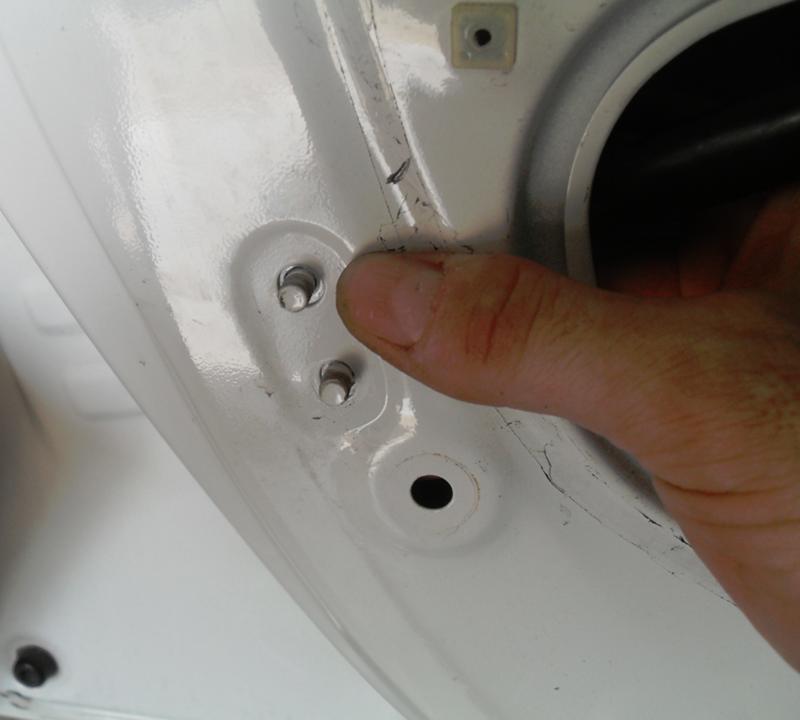 Remove the torx fasteners that hold the door latch in place. 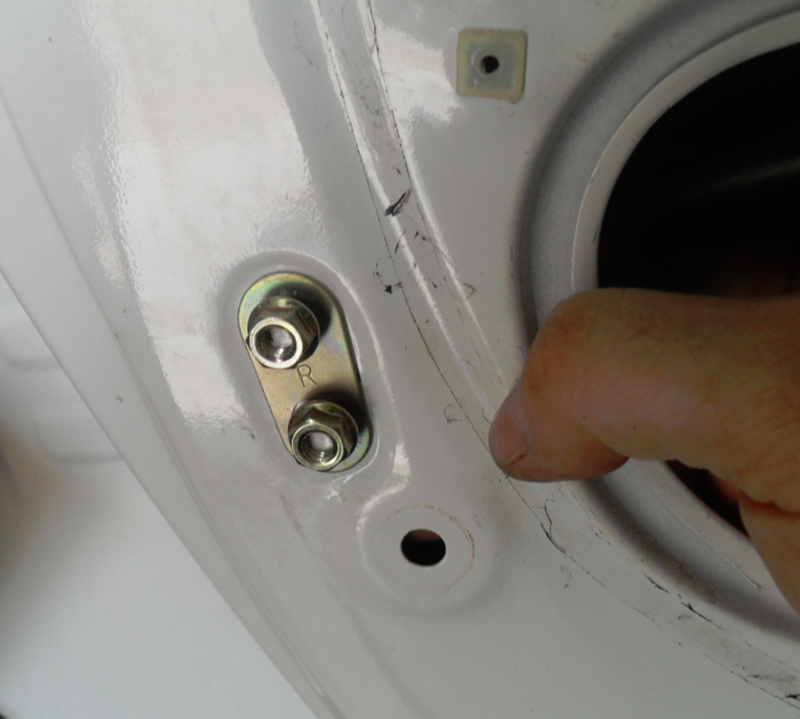 If you remove these nuts, you can swing the window rail track out of the way so the latch and actuator assembly can easily be removed. Now you can remove it from the top hole. 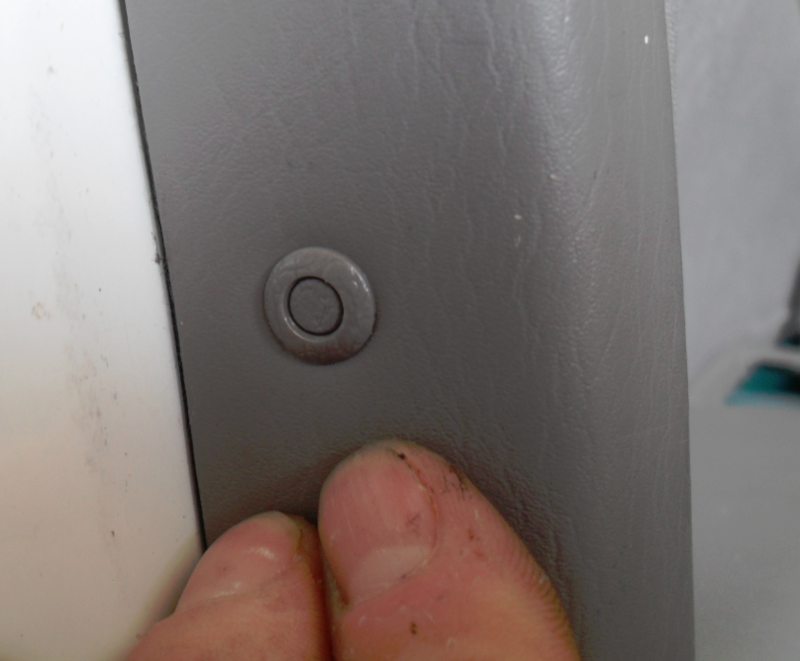 Remove the plastic cover by removing this screw. 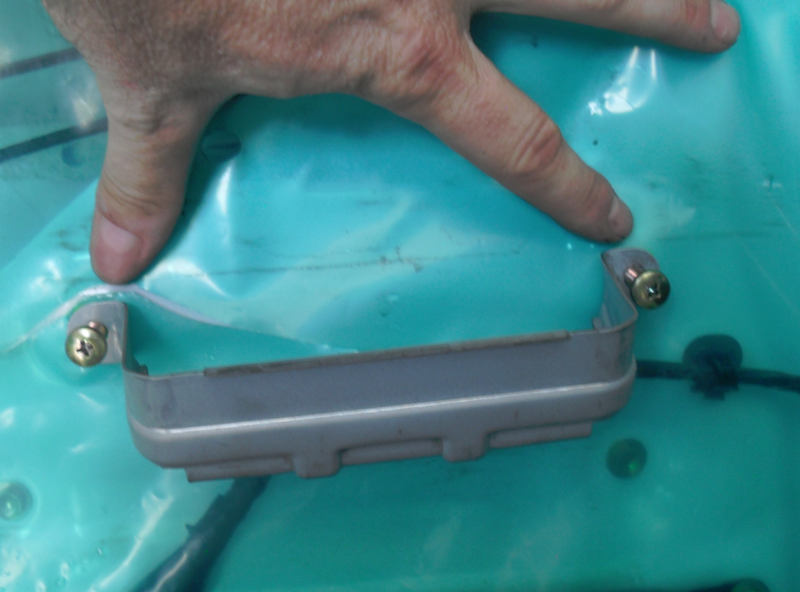 Remove the two attaching screws. 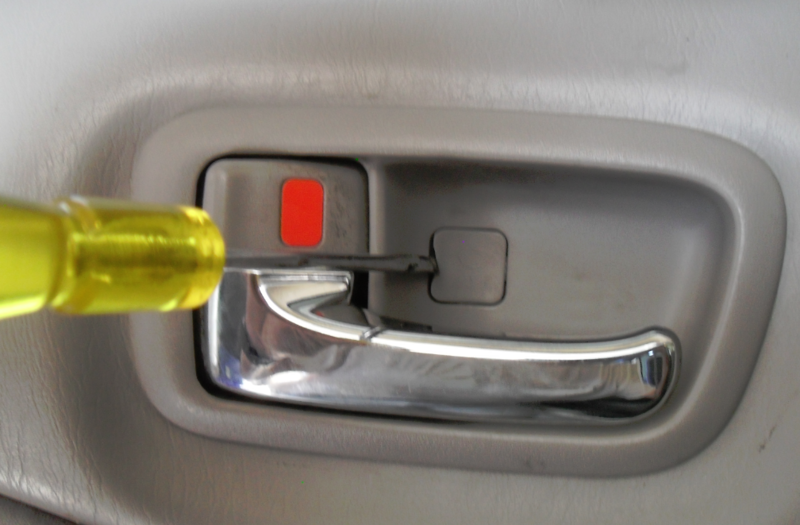 You should now be able to remove the cable and the ball/socket lever. Note how it fits together while you are removing it. 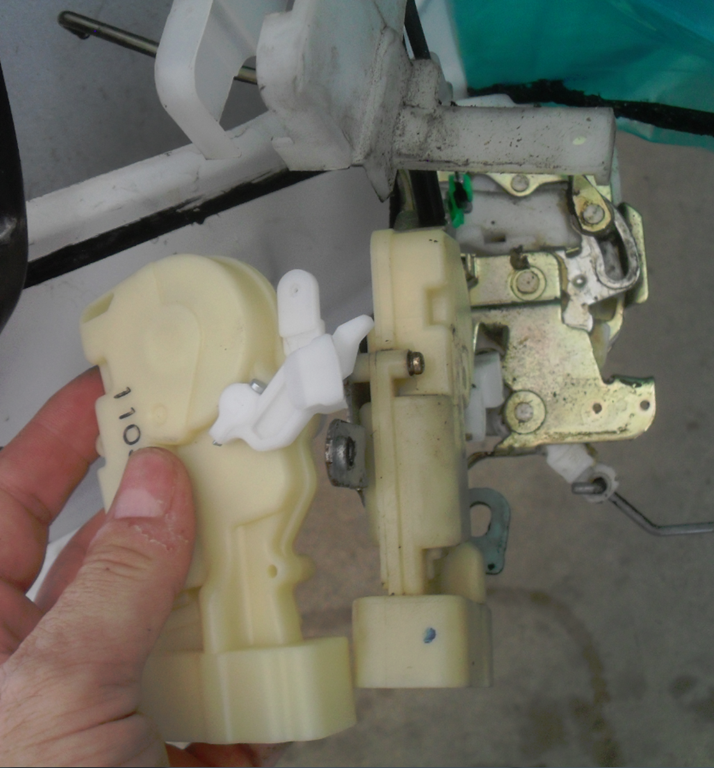 It’s pretty simple, but make sure you get everything oriented the correct way when installing. Now see if you can do it all backwards to install it. 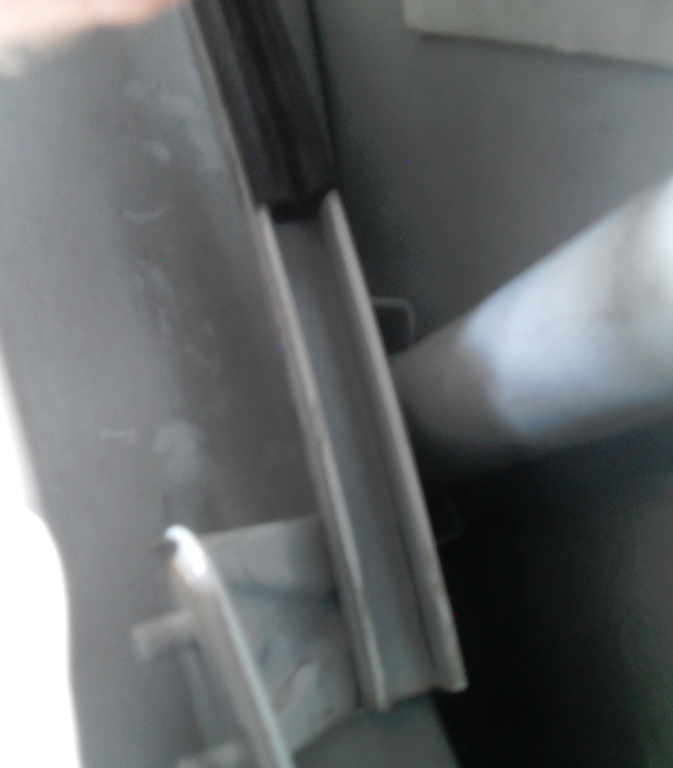 This entry was posted on May 25, 2012 at 1:42 am	and is filed under Auto Repair. You can follow any responses to this entry through the RSS 2.0 feed. You can leave a response, or trackback from your own site. 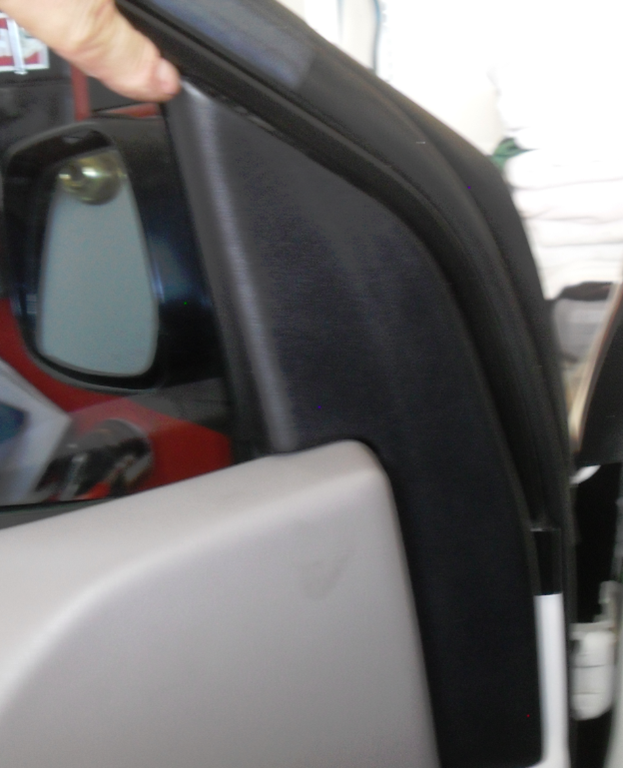 Thanks for showing how to remove the door panel !! Absolutely awesome write-up and awesome of you to share this with all of us. I want you to know how much I appreciate it. I just followed these directions, and they were excellent! I was able to complete the job in an hour and 15 minutes. Thanks for posting this–it gave me the confidence to do it myself. 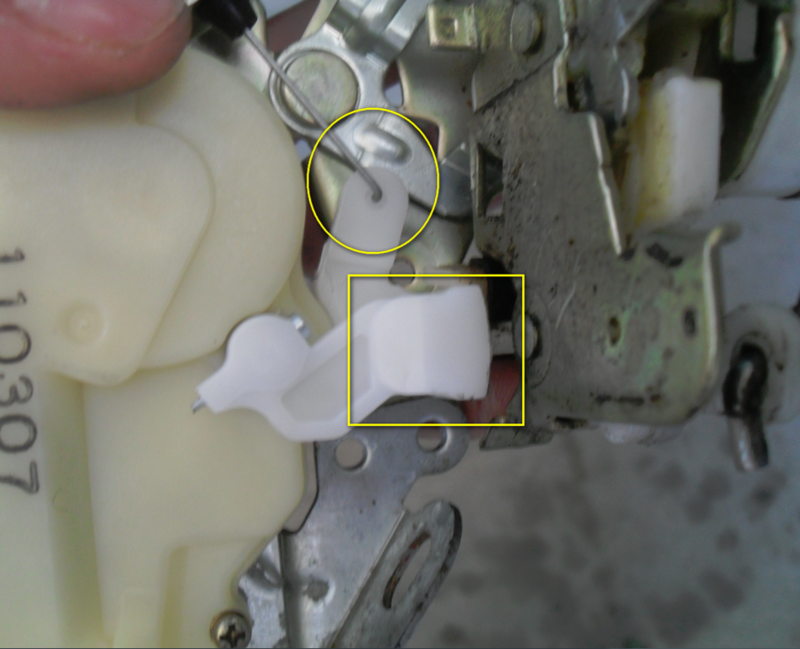 This is the 6th power door lock actuator that has failed on my 2001 Prius. The dealer has charged me for the part plus an hour labor to do it, but the last time they tried to charge me for 3 hours labor! 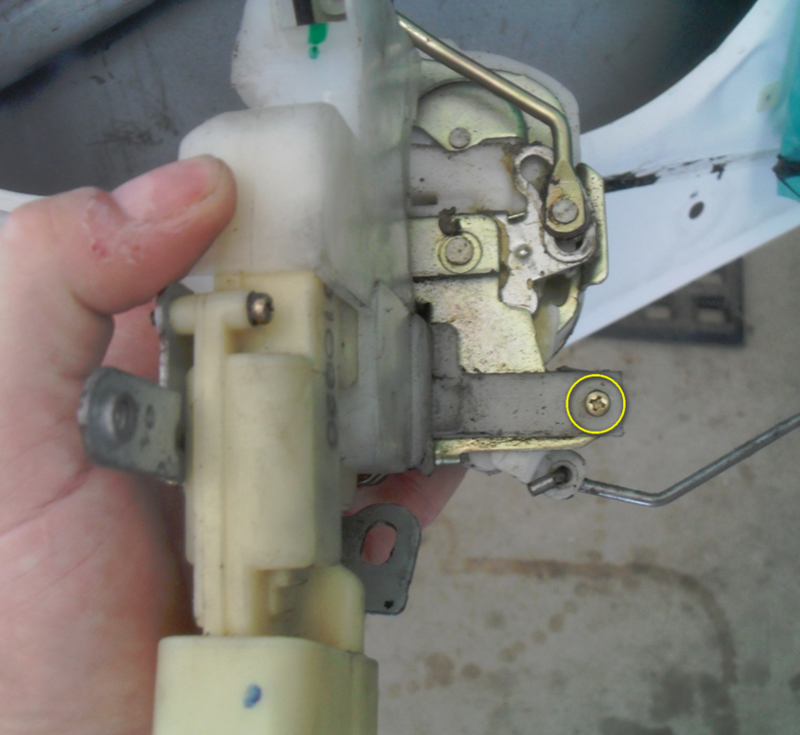 (Because it took them 2 hours to diagnose that the actuator had failed for the 5th time…). So I’m pleased that I can now just take care of it myself, and next time I’m sure it will be faster! Thanks for taking the time to document this procedure, Russ. Your clear pictures and description were very helpful! 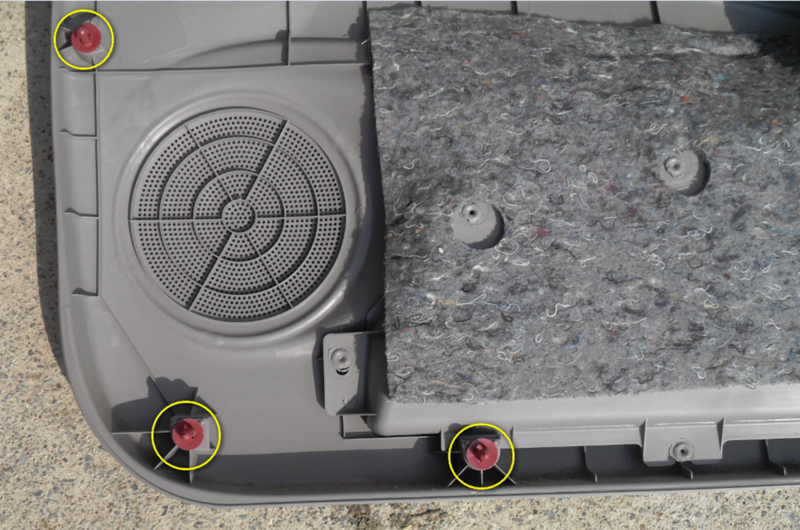 I have two actuators to replace- the Front Right, and the Rear Right, on my 2001 Prius. 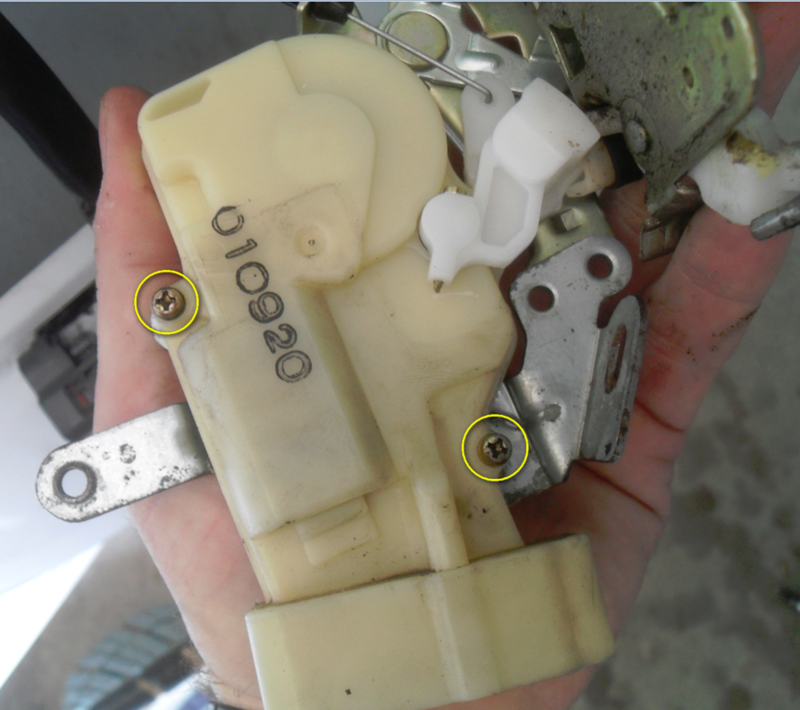 I have a 2001 Prius and a few years ago all 4 door locks mostly stopped working. When I try it they look as if they “attempt” to move and I can see a little motion but they basically don’t work. Is there any possibility that a single point of failure occurred since all 4 seemed to fail at about (though not exactly) the same time? A relay perhaps? 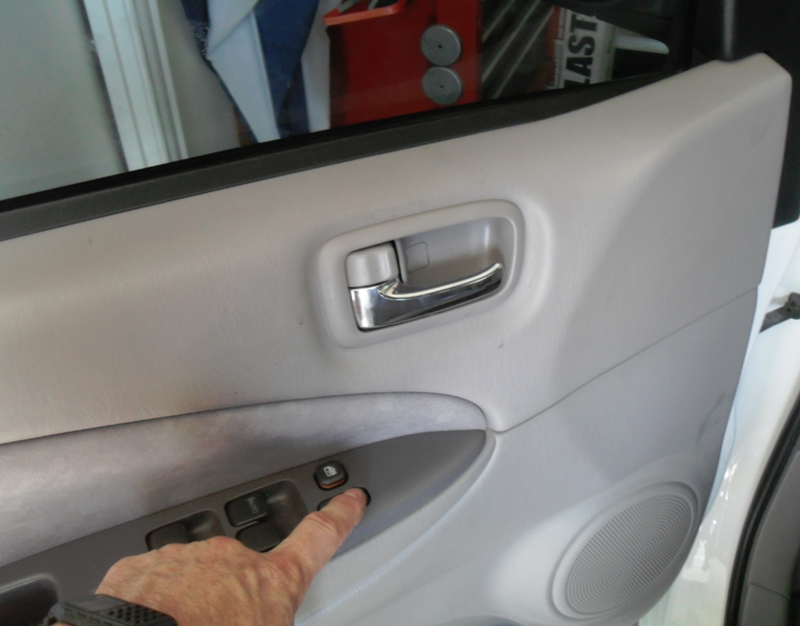 I hate to spend 4 + hours and $400+ dollars just on door locks since I can reach them all from inside the car. Still… it would be nice to have them working hence my dream that maybe a single component can be replaced rather than gutting each door. PS: Awesome documentation by the way! That sounds awful suspicious. 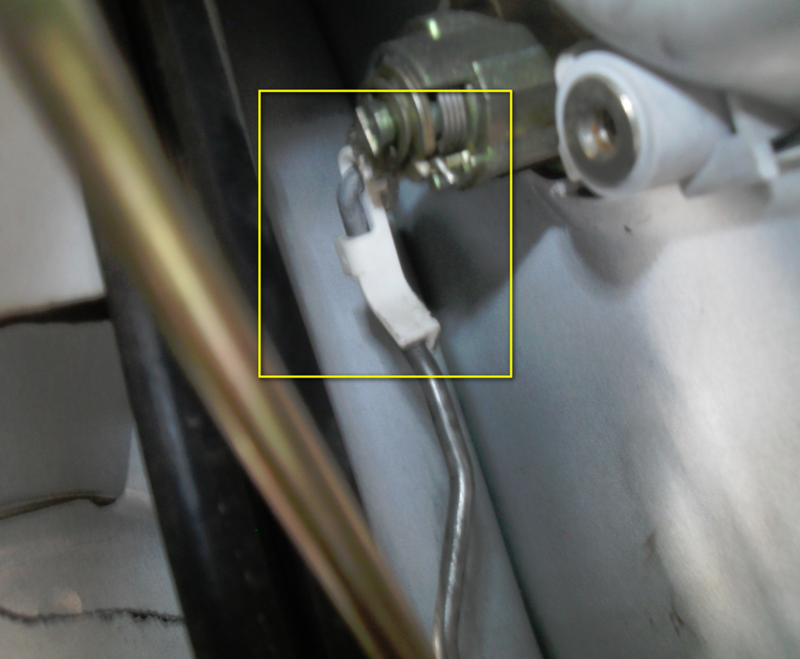 I’d measure the voltage at an actuator and see if it’s low. 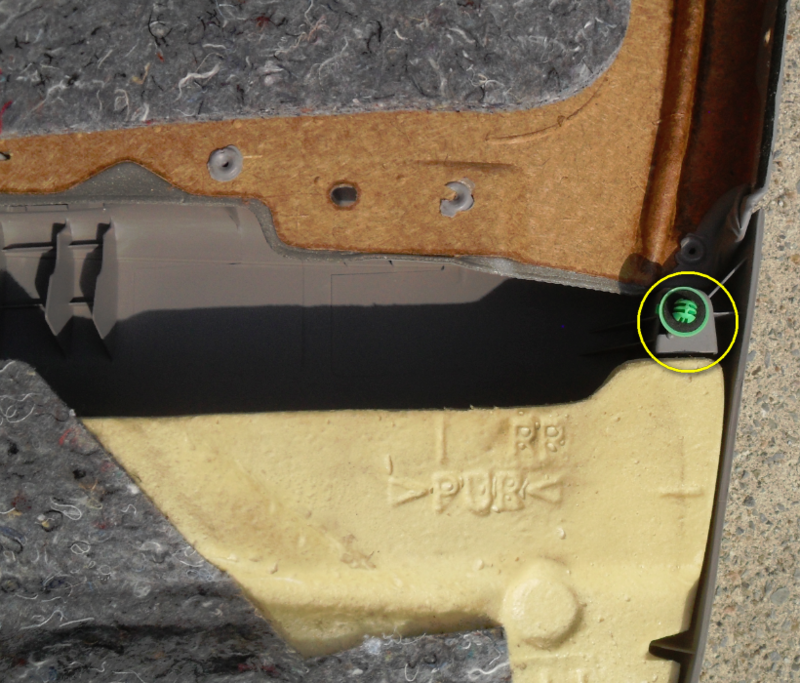 That could indicate high resistance relay contacts or a bad ground connection. Might be tricky to find. Just wanted to say thank you for the pictures! 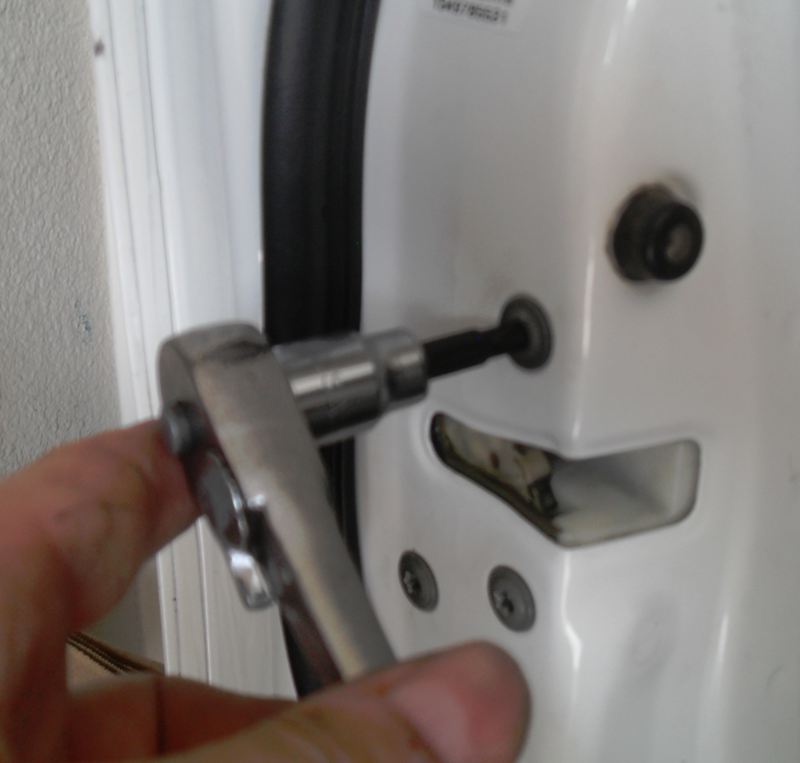 Some of these saved me a bunch of frustration and now my driver door is working like a champ ($15 fix). Thanks for this , helped alot. 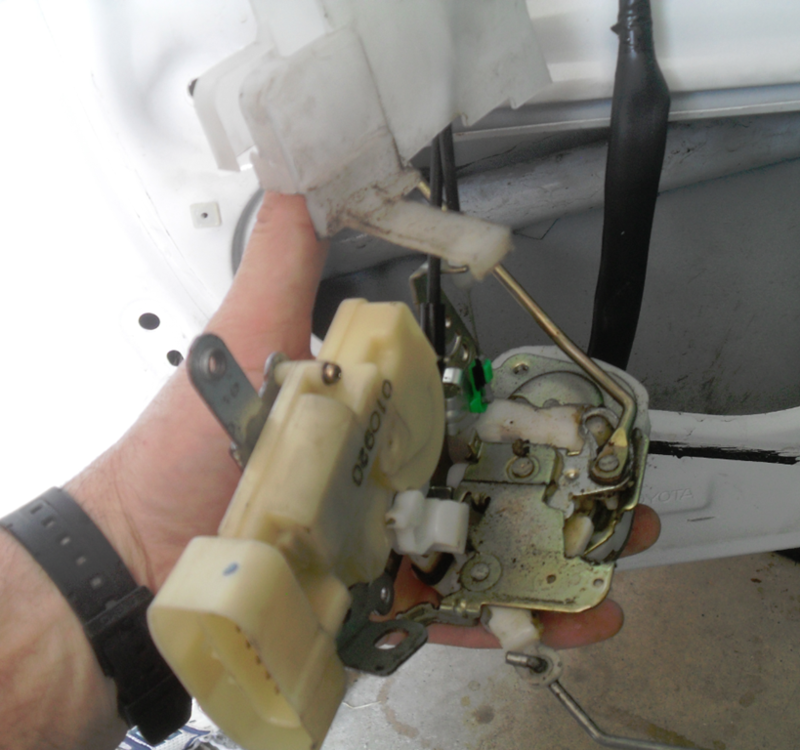 Replaced actuators on both front doors. Weird now that I have done this the alarm auto arms from locking the doors and then does not disarm by unlocking doors. Great Job with the Tutorial. 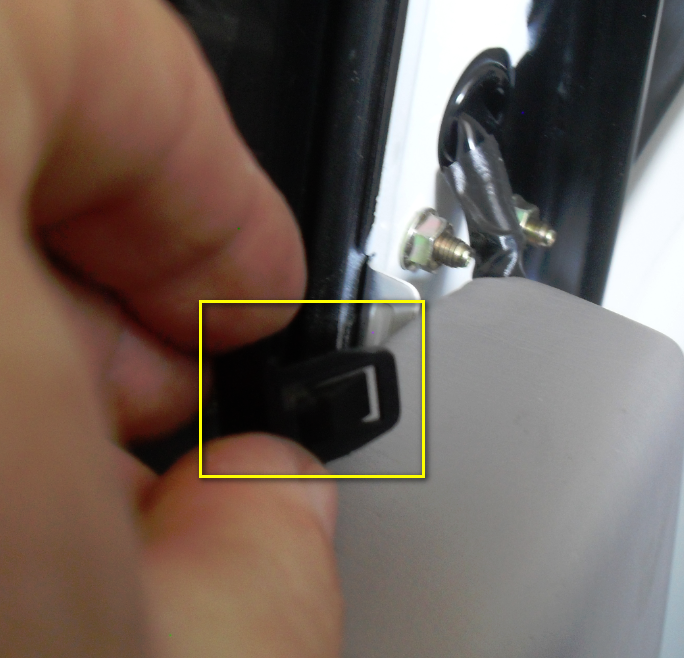 I have a 2001 Prius bought used 3 1/2 years ago and just had the problem on my driver’s side door where my remote would not lock it, but unlock only. Did some research calling dealer’s locally, and then online and found this site, and followed the steps! A-Plus!!!! 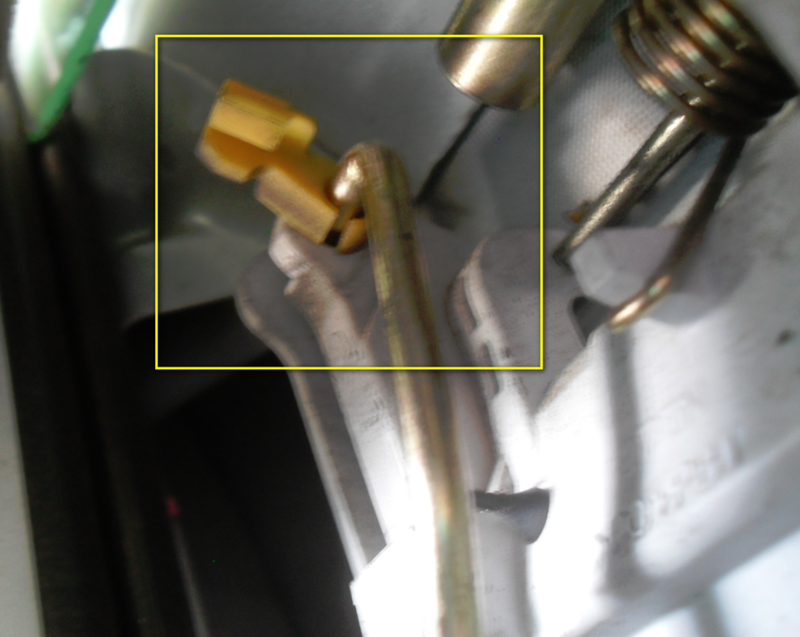 I just fixed my door lock for my 2001 Prius. Much thanks to you for putting this documentation together. Thank you for your very thorough written instructions. 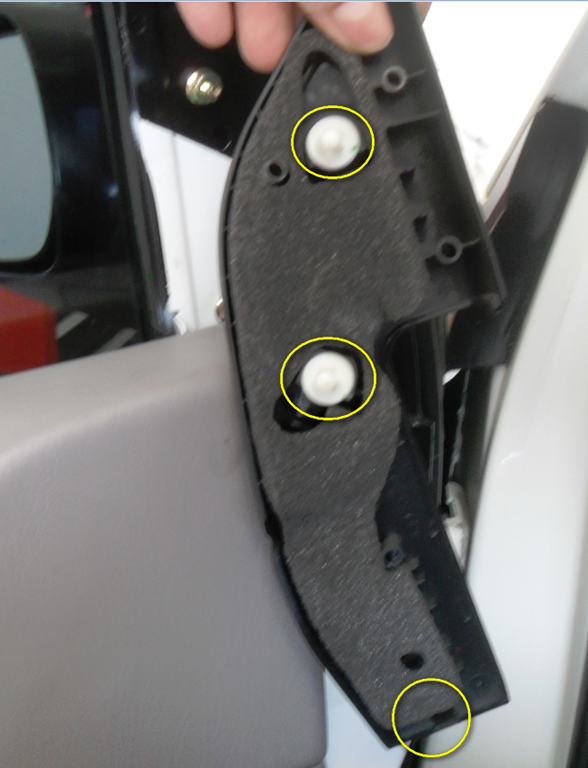 I could not see your pictures but was still able to remove my door panel. The trim around the door pull was the trickiest part.